Cameron purchased HAYDON SIGNATURE – HSH and the 15 year old bay gelding is usually played by Anita Shepherd for the Warwick Club. He has been playing A & B Grade polocrosse for 10 years. 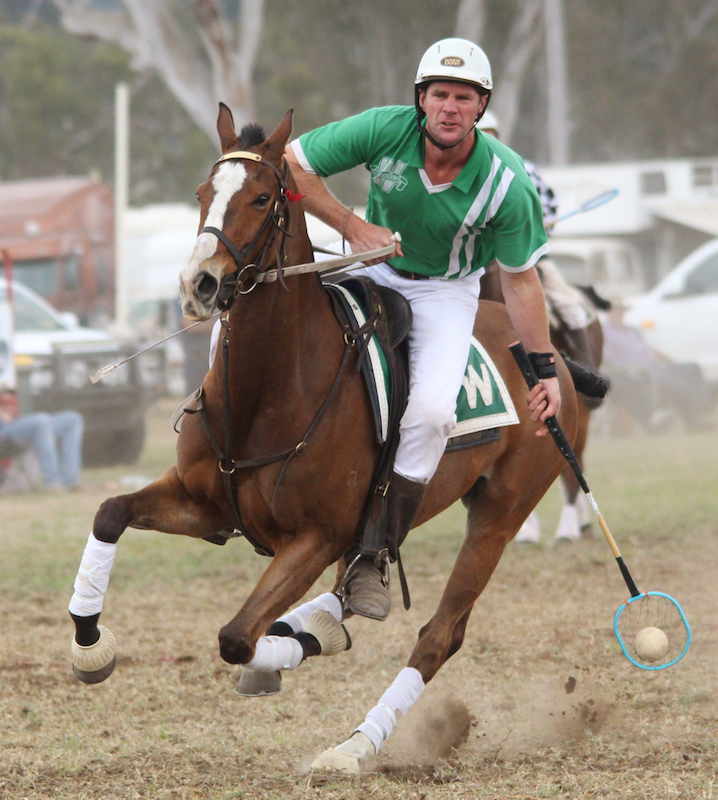 He has played at two Polocrosse National Championships in the Open Men’s division. He has won many Best Horse & Rider’s and ASH prizes. The main attributes that contribute to HAYDON SIGNATURE’s ability on the polocrosse field are that he is very fast and good on his feet.